will reach out to you shortly. 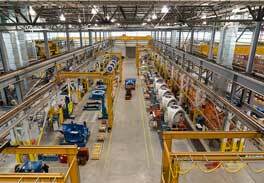 We serve commercial and residential customers in Houston, TX and surrounding areas. Just ten years ago, polished concrete in Houston, Texas wasn’t considered much more than a commercial floor system. 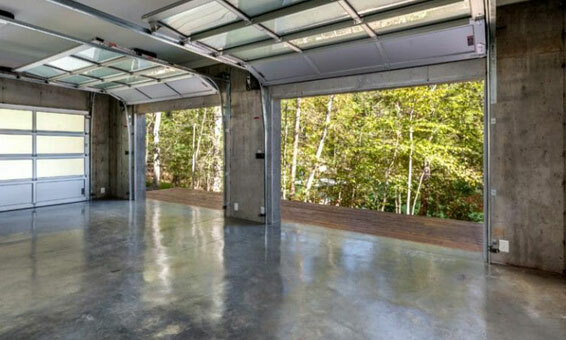 With a greater range of customization options and increasing awareness among homeowners, polished concrete floors have become an in-demand solution for basement, garages, and living areas. Polished concrete has a lot to offer. A stained polished concrete floor can blend seamlessly with your decor, make your home feel clean and open, and withstand all types of abuse, even pets and moisture. A polished concrete floor can be rustic and comfortable, industrial, or sleek and modern depending on how it’s customized. Whether you’re interested in turning your drab and dark basement into something amazing or you want a non-conventional and low-care flooring system for your main floor, our polished concrete contractors can deliver. 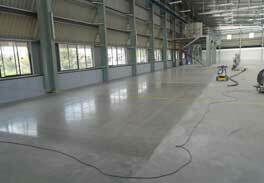 Our concrete grinding and polishing in Houston is a cost-effective solution that produces dramatic results. Contact us to learn more about our Concrete Polishing services & request an estimate. Polished concrete may not be the traditional choice but it has a lot to offer, even in residential settings. Here’s why homeowners love polished concrete floors in Houston. 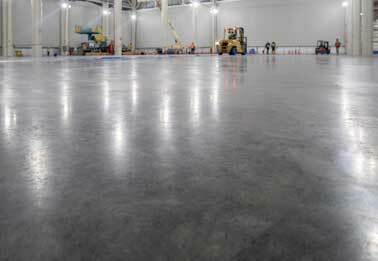 If you have an existing concrete slab that you want to finish, you can’t beat polished concrete in terms of cost. You won’t need to pay for a floor covering because polishing transforms your concrete into an existing floor. 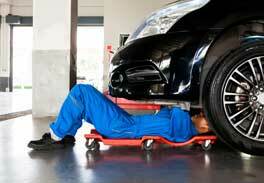 It doesn’t require much maintenance and it will last a lifetime for the ultimate investment. Polished concrete instantly brightens any room by reflecting light from its glossy surface. This makes it an ideal solution for any area that can benefit from extra light, including the basement, garage, windowless rooms, and dark laundry rooms. Radiant floor heating is one of the most efficient ways to heat your home by heating your floor, which radiates heat upward. Concrete is the ideal floor system for radiant heating systems because concrete offers excellent thermal conduction. Floors are subjected to a lot of abuse. From sliding heavy furniture and dropped objects to spills, chemicals, floods, and pets, you want a floor that’s up to the challenge. Our concrete polishing service in Houston, TX densifies and seals the surface of your concrete to make it tougher than normal concrete. It can withstand everything, including pet nails and accidents and stains. Traditional floor systems can cost thousands or tens of thousands but they will eventually need to be replaced or refinished. If you’re looking for a more permanent solution that will withstand heavy use and stand the test of time, polished concrete is a great choice. concrete polishing service transforms your existing concrete into a finished floor system that will last a lifetime. If you’re looking for a long-lasting floor solution for your basement, nothing will give you peace of mind like polished concrete. There’s no need to bother with carpet, linoleum, and laminate flooring that will need to be thrown away if your basement floods or your sump pump fails. Polished concrete can withstand flooding with no harm done. 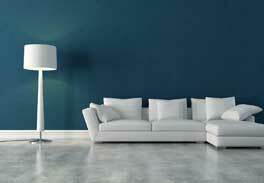 Don’t make the mistake of assuming polished concrete needs to be gray and high-gloss. Our concrete floor polishing contractors can customize your concrete floor with stains, saw cutting, and different finish options. Stained polished concrete floors can be vibrant or earth-toned, matte or ultra high-gloss, solid color or patterned, and everything in between. 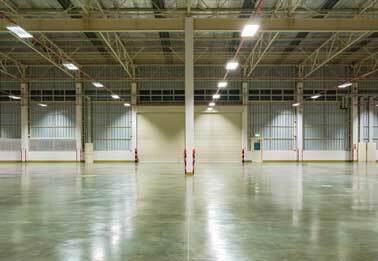 It’s a common misconception that polished concrete all looks the same: reflective, bright, and gray. The truth is a polished concrete floor in Houston, TX can be customized in many ways. With acid stains, integral colors, and solvent-based dyes, we can produce striking colorful polished concrete that blends seamlessly with your home decor. Acid stains are a popular way to achieve a mottled appearance like marble in earthen colors for neutral and subtle effects. If you want bright, primary colors, we can use solvent-based dyes to achieve bright colors with polishing. Newer solvent-based dyes are designed to carry color into the slab with acetone to deliver a wider range of color options and a more solid, vibrant appearance that only gets better when the surface is polished. Who says you need to settle for a dusty, dark, and ugly garage? Whether you want a clean space to work on your hobbies or you just appreciate a tidy space for storing belongings, polished concrete is a great choice for a finished garage. 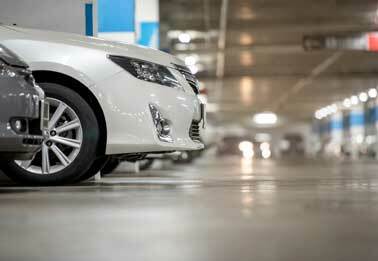 Polished concrete floors in Houston offer an affordable garage floor system that makes your garage floor more resistant to damage and stains from road salt and automotive fluids. We can also customize the look of your garage with vibrant stains to make you the envy of the neighborhood.